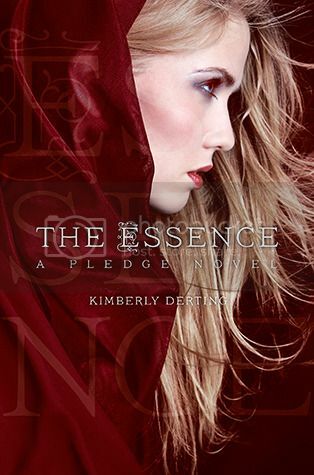 The Offering is the third and final novel in ‘The Pledge’ series by Kimberly Derting. I am pretty sad to see this series end, as I have really enjoyed reading it! The book definitely starts off with a bang, let me tell you that. But it quickly quiets down and we don’t see much more action until closer to the end of the book. Don’t let that dissuade you from reading it, however, because the ending is totally worth the read. Queen Charlaina is such a complex, wonderful, caring character. She really makes a great queen for her country, as she has such a big heart. I love that she wanted to change so many things that were wrong in her kingdom, and that is exactly what she set out to do. Charlaina and Max are pretty perfect as a couple as well. I have adored Max throughout the whole series; he is just a bit precious. While most of the characters that we already met in the series are in the book, we are also introduced to a few new interesting characters as well. One character being Eden’s brother, Caspar, who I really, really loved. We also once again meet Queen Elena’s sister, Sage, who I found to be such a great person. If Derting decided to write a series around Sage, I would totally read it! In the book, we discover who the good and bad guys really are. I was a little surprised to discover a few of the bad guys, by the way. Near the ending of the book is where most of the action comes into play. Derting really held nothing back with this ending, and at times I wondered if anyone was really going to make it out alive. The book wraps up pretty well; I was left with only a few unanswered questions that I would have liked answered. Oh! I also want to mention that while I love that this book has a historic feel to it, it also has some modernization as well. The weaponry that is described, as well as a ‘vehicle’ that they run across, it was interesting and made me wonder about the time period. Overall; I really enjoyed reading this series! If you are a fan of Derting, and you haven’t checked this series out yet, you should definitely do so. I havent heard of this series yet. The covers are gorgeous looking.